3. Hi wouldn`t it be great to have one giant bar-b-q,and I thought it would be neat if O`Hara`s jazz bistro, in Fort lauderdale fla.would have an e-mail site so we could order the golf shirts, and ball caps that he advertised! !oh well can`t win em all,maybe if I ever visit there i`ll buy some for the family,their all prud of their name or maybe better still I`ll go into the t-shirt business,and advertise them on this site looks pretty lucrative to me! !I live in Petawawa Ontario Canada,which is two hours drive north of Ottawa the capital of Canada, and just discovered that there was a family of O`Hara`s in Pembroke Ontario, 10 mils down the road, I`m also happy to mention that I was born on the Glorious day,long live the O`Hara`s, Patrick O`Hara. 15. My name is mitchell O'Hara and my grandma is gerry O'Hara. 16. i am an o'hara from birmingham,england, but i was born in killkenny and have lots of family in mayo. its good to no that theres a lot of good people walking around with the same name as me!! farewell my fellow o'haras liam o'hara. 26. Thank you for your O'Hara information ! My husband, Timothy O'Hara was an all american lacrosse player at Syracuse University in the 70's. He held the record of most points scored for 18 years. I thought maybe you would be interested. The present SU lax coach, John Desko, would have all the stats and details if this is an interest to you. have a great day..again, thank you! 42. It's good to be Irish in Canada. I'm tring to find A Sean O'hara who was married to Marica latty in mobay JA in 1974. I could really need the help on this web page. thank you. 43. I am from Letterkenny Co. Donegal Ireland and have lived in Chicago for over 30 years. I am a professional singer. I have currently two CD's. One is titled "Home from the Sea" and the other is a Christmas CD. When our great mayor of Chicago died we composed and recorded "Tribute to Richard J. Daley which is still my own favorite. I am married with three great children. My name is John O'Hara. I am 35 yrs. old. My grandparents were Michael O'Hara (1889-1967) and Margaret Nagle (1891-1965). Both are right from Ireland and came here prior to 1916 when their first son was born. I would like to know more on both sides of my grandparents. I am married with five children: two boys and three girls. Two are twins, Amber Lynn and Heather Lynn, and they were born May 1, 2001. My first child Stephanie Kay was born December 24, 1995 - I lost my only son Daniel Owen, the day of his birth, April 25, 2000 which was one week before his due date. My step sons are Joshua (born April 30, 1992) and Matthew (born August 30, 1994). There are no twins on my mother's side or on my wife's side either. This is one reason why I want to learn about my roots: because my son and twins have to be very special. By the way we live in Bradford, Pennsylvania, home of the zippo lighter,and case knives. I hope you can help me. I dont even know what part of Ireland they came from. Hope to here from you soon. 59. I stumbled across this site by accident, and thought I would add to the O'Harability as it were. I am an author living in New York. Type "Christopher B. O'Hara" into Amazon to check out the latest books. Cheers! Address (url): chrisohara.com Webmaster's follow-up: You can also find a list of Christopher B. O'Hara's books on this site by clicking on the following link: http://oharas.com/directory/nonliteraryauthors.html..
63. Can't believe there are so many O'Hara's outside Ireland! Born and still live in Northern Ireland. Father is Quinton O'Hara, mother Maria- Patrica O'Hara, both born in Belfast in the 1950's. 68. Great web site! I am 21 years old, from Dublin, Ireland. My father is Lt. Col William O'Hara (army officer in Dublin), born Cootehall, Boyle, County Roscommon. He was born on 28/02/51 and married Cecily O'Brien (general nurse in Dublin) on 10/08/74. I have 1 brother, Lt. Niall O'Hara (born 25/04/78 - army officer in Curragh, Kildare) and two sisters Caitriona (born 30/10/79, now computer technician in Dublin) and Andrea (born 31/5/76, now children's nurse in Dublin). I am moving to London now to work for HSBC Bank. I have just graduated from Dublin City University. I was reading your page about the Titanic (http://www.oharas.de/TitanicOhara.html) and Monica O'Hara's book, about her "death" on it. I'd like to contact Monica O'Hara, or her husband, Joe Keeton. You haven't any contact details have you?. I've done web searches found nothing! Sorry I don't have a contact address. I did web searches too and found one page repeatedly turning up: The Titanic Book Site.Com (http://www.titanicbooksite.com/author%20pages/OharaMonica.html). It appears that her name is Monica (Harding) O'Hara-Keeton. Other books by Monica O'Hara and Joe Keeton are found at the following link (http://www.addall.com/Browse/Detail/0709061471.html). Perhaps you could try contacting the publishers. It's nice to see that the site is interactive. I am afraid that I am not very big into Geneology so I can't help you very much with the history of the O'Hara's in Co. Laois. All I know is that my Grandfather came from Bodyke in Co. Clare sometime around the start of the 20th Centuary. He had retired as a Sergant in The Royal irish Constabulary and he bought a small Hotel in the little village of Ballinakill. He had 11 children ( now all deceased ) and I do know that there was another family of O'Hara's in the village of Ballinakill who were not related ( That family have died out.) I have checked out the local telephone directory and besides myself there are five other O'Hara entries in Co. Laois. I just wonder if I would make it into the Section of O'Hara's in Military Service with the following entry. Gerry O'Hara ( B. 1948) Enlisted in An Forsa Cosanta Aitiul ( Local Defence Force ) in 1968. Commissioned in 1976. Attained the rank of Commandant ( Major) and appointed Company Commander; F. Coy. 9th. Infantry Battalion in 1998. 102. My name is Dennis O'Hara. 57 years old. Born in 1946, Bermondsey, S.E. London. Sister - Maureen Theresa O'Hara. Brother John Dennis O'Hara. 105. I live in Otego, New York. I'd like to say Hello to all fellow O'Hara's, and I'd like to see an O'Hara reunion started! 107. Hi - great site! Hello from the O'Hara family of South Jersey U.S.A. The Greatest Family Name there is! My Family: Martin Anthony, Sean Michael, Kristine Marie, and Wife Christine. I wanted to add some information, My Father was a pretty big radio personality, news anchor and had a pretty big Role in the Film "What's so bad about feeling good" I think it is from around 53. He has been deeply rooted in the NYC area for quite sometime. You may be able to find out a lot of info on his past jobs - roles, etc. His name is Martin O'Hara - I know he held a DJ job for many many years on WNEW AM, had News anchor positions in both NYC and Philadelphia - and the movie role. I have just stumbled across your website, and am fascinated. I am an O'Hara, Patrick by first name, and now live in Leeds, England. I am a retired BBC producer, journalist. Wonderful site! Hopefully this information will help. If you have any questions don't hesitate to write. 124. My name is Kathy O'Hara, would like to hear from any O'Hara's that are related to George O'Hara in New Harbour, Nova Scotia, Canada. Hi – I'm looking for Dr. Michael O'Hara, probably a surgeon or cardiologist, about 50-53 yrs old, is very tall, with a dark mustache and longinsh grey hair. I had seen him before and am planning on moving to Ireland in the winter. I remember he spoke Irish as a primary language and may have been from the west or northwest coast of Ireland. If you know where I might find him, please contact me – it is important that I speak to him. – from Tom O'Hara in St Charles Minnesota. Son of Joseph P. O'Hara Jr. of Glencoe MN and grandson of former Minnesota Congressman Joseph P O'Hara Sr from Tipton, IA. – I am trying to find out information on my Great Grandmother Jean O'Hara, or any of her family, who moved from Sligo to Glasgow and married George Oliphant in 1920. Details known about her family are as follows:- Mary - moved to Scotland at same time married a Scot who worked as a road roller and has 3 children; Edith - married and moved to Canada and worked in a newspaper office and had a daughter also Edith who would be about 82 now; Robert - moved also to Scotland and married had a least 1 son. 177. Robyn Lee OHara here, my Father was Joseph Raymond O'Hara and his father was Silas O'Hara of Altoona PA. Anybody out there know my family ???? – I am looking to find out more on the Sarah Hopple that married an O'Hara. She was born 1849, but this is not proven yet and had 8 siblings: David, John, Marthe, Rosella, Edward and Elmer, William and George. Her parents were George and Ruth Hopple and and they originated in Pennsylvania. David was my line and I have his family done and thought I would start on all his siblings. I have seen a message on your site about a Sarah Hopple who married an O'Hara.and thought this might be a chance to find that family. – I'm David O'Hara and I would love to hear from someone who knew Robert Henry O'Hara. He's the father listed on my birth certificate although I never knew him. 184. Hi to all You O'HARAS. A truly exceptional and interesting site. Did not realise there where so many O'HARA'S. I'am one, born in Madras India, supposedly descendant from the O'Hara, who was killed by a lion in the book on Zarvo. – Please update William Homer O'Hara 1991 to William Homer O'Hara Sr. 3/5/1910 - 4/11/1991 William Homer O'Hara Jr. 6/2/1941 is his son. William Homer O'Hara, III 5/6/1980 is his grandson. 187. Great board – so glad to see a group of O'Haras. I come from a long generation I know beginning back in Sligo, Ireland, where my grandpa ended up in Chicago, and still resides. Unfortunatly he is about to turn 95 years old, and can't tell us too much info about where and how he got here. We know very little about his parents or family back in Ireland. Hope to see more on the site to come! 189. Another Mitchell O'Hara from South Dakota ? My sister sent me the link for this website and I notice a listing from South Dakota for a Mitchell O'Hara, with a father William (Messages 015, 163). — That is my name and my father was William O'Hara, interesting??!! My late mother's grandfather was Captain William O'Hara-Monan RN and he lived in Southampton, England, in 1873; then he returned to Dublin with his family - not sure what date ? His birthday was 9th December, but we do not yet know the year of birth. My grandparents were Hugh & Frances O'Hara-Monan. My grandfather was born O'Hara-Monan in 1873 but used Monan as a surname. He moved to Dublin and lived at 21 Mayfield Road, Terenure, Dublin. My mother was born 1908 and died 2003; she lived at 40 Hollybank Ave, Sandford Rd, Dublin and then moved to Terenure. I was born 1937 in Dublin and lived in Bray, Graystones as a child - left 1944 to live in London. I have been doing some research into my great great grandfather in Sligo. He died in 1919 and is buried in Glasnevin, Dublin - lived at 30 Moorhampton Terrace, Doneybrook, Dublin - the house is no longer there. I hope to hear from some members of the O'Hara family if they knew of my family tree. I look forward to hearing from you, and my family wish you a very Happy New Year. Forgive any typing errors - have one hand - get by! Greetings; as a resident of Mesa, Arizona 13 yrs, I would like to be listed; Doctor of Chiropractic and Acupuncture, by apt. Ggf came from Sligo; We are the Cleveland Ohio O'Haras — Sligo, Whitehall NY, Cleveland Ohio since 1895. I am trying to learn how to navigate this site being computer ignorant – at 78 one gets slower. Both parents came from County Sligo to California in approx. 1910. My brother John Francis O'Hara is included at this site with the O'Haras in California – partner in Law Firm Parker, Clark,Milliken,O'Hara, Samuelian. John passed away in February 2001. 203. I wanted to tell you about some O'Hara's from Louisville, Ky. Joseph C. O'Hara and Kevin M. O'Hara Sr. If you are interested e-mail me back and I will e-mail you a letter about them. by Kevin M. O'Hara Jr.
204. I am from Brantford, Ontario, Canada and now attend Lakehead University. My father came from Wales, but my Mother's parents were from Dublin. We all now reside in Canada. Cheers. 219. Hi! I'm Jenny O'Hara from Manila, Philippines. I'm an O'Hara too. It's nice to know that we have a website, I hope to trace my granpa's roots from the start. My granpa is a son of a Thomasite, an American Teacher who came to the Phils. to teach in the late 1800's. Hope you can help me in this quest. 222. Hi from North County, San Diego, CA. I was born and raised in Mesa, AZ, the son of John and Ellen O'Hara. I have O'Hara relatives in AZ, MI, OH. My brother Michael O'Hara also lives here in San Diego. Ra Ra!. 224. My name is Terry O'Hora, of the O'Hora family from Pennsylvania. Changed our name from O'Hara about 200 years ago in Ireland. Any relatives out there?!? 225. Hi, my name is George O'Hara. I was born on the 1st March 1947 in Lesley street in a village called Ligoniel in Northern Ireland. My Father was called George (Geordie), his Father was James (Jimmy) and his Father was George. I am Joan 0'Hara Bates, age 68. I trace my paternal line to William Wilder 0'Hara, born 1846 in Quebec and who died in Wabasha City, MN where my father and grandfather 0'Hara were born. Our family story is that we are descended from Gen.Charles 0'Hara so we find all things written about him of interest. My daughter Tara found it all and sent it to me, but I only had this computer two months and am just learning. I am the last 0'Hara of my generation, I had 3 brothers from my father's 4 wives. My O'Hara men were polite, charming and loved to gamble and drinking was good too! . I enjoyed this website alot. I have always wanted to trace my family's roots, but my father has very little information for us to go on. Maybe one day I'll get all the information I need. I know nothing of my grandparents other than my grandmother's name was Mary Daly and my grandfather was either a John or Joseph, a r.r man in Ft. Dodge or Council Bluffs, Iowa; my dad was born in 1896 or 1898 as Joseph Faber O'Hara. Mary had several sisters. 230. Pembina, North Dakota ? I am trying to find info on my Great Grandfather Joseph O'Hara. He was born somewhere in Ireland possibly the northern coast about 1844. He moved to Canada at the age of 19 after finishing an apprenticeship as a shoemaker. He possibly came to Canada with the man who trained him, a Mr Miller. He had several children with his wife Mary Rebecca Burchill-O'Hara. All the children died but one (my Grandfather James O'Hara). Does anyone have any suggestions how I could find out where my Great Grandfather was from exactly and who were his parents? Our earliest known O'Hara ancestor migrated to Scotland as a bridge builder, we believe mid 1840s. He helped on bridges in Ayrshire; he was a Navvie (?) - a bridge builder. He married Mary McClelland in Ayr, and their children were Robert (1856), our ancestor, Charles, Sarah, Anne Jane, Peter, Elizabeth. No information about where In Ireland he came from, or whether he was a boy, a young man or an adult. Believe his birth to be mid 1830s or earlier. Have no information on the other children beyond 1881 census. Where are all those with the name of O'Hara who migrated to Scotland ? My husband's family apparently changed the name from O'Hora to O'Hara at some point here in the States. Some of our relatives are O'Hora's from Pennsylvania. I am working with them to try and find our origins. Any help would be much appreciated! I'd love to hear from any of you. I am the author of 6 books, including the upcoming "Field Guide to Great American Beer" (2006, Clarkson Potter/Random House). My family lives in Lloyd Harbor NY, and I'm originally from NYC. Webmaster's ps: see also at this site: Non-literary authors. It is nice to see this site online, is there any plan to add any more in the history area, or perhaps links? Respecting the tribe's history I have a copy of a book titled: "The Book of O'Hara", lots of tales of fighting and it's aftermath, have you heard of it? I have heard various stories about the name "Eadhra" and that our origins are near Tara and all. The movie "Gone with the wind" didn't help matters. Does Eadhra refer to a tribe and is there any reliable history connected to the name? Congratations and best wishes on your progress. Hello to all the O'Hara's out there, especially those in Australia. I don't know anything about my ancestry but am keen to learn. 238. Hi, what an interesting site!! I'm from London and have lived here all my life. I am of Irish descent, and am living in london with my Mum. 239. Hello frm the United Arab Emerates! Hello Everyone! What a pleasure to discover so many O'Hara's! Although born in Lancashire, UK, I have spent the last 30 years travelling around the world teaching English...and have never actually bumped into any dear namesakes, but it's lovely to know that you are there...somewhere! I'm currently living in Sharjah, near Dubai in the UAE. Not many O'Hara's here I suspect! I would love to hear from other O'Hara's. Hello - I am the last O'Hara of a group from Youngstown, OH. My dad is James Joseph Jr, son of James Joseph, Sr. We have many relatives in California, too! I am so glad to have found this site! 242. hola / hello from Lima, Peru ! hi! I'm Charles O'Hara, I'm from Lima, Peru and I lived all my life here ... there are very few O'Haras in Peru ... well more about me I'm in my late 10's, a university student (wanna-be-chef) I also have japanese blood and I'm a very cultural person, I love to learn new languages since my studies are tourism/hotel managament-related ... so far I know japanese, spanish and english. I'm also the webmaster of a japanese music website (in spanish); the link is: http://es.groups.yahoo.com/group/Johnnys_Peru/, yeiy I forgot ... my O'Hara great-grandfather born in Liverpool, England ... nice to meet you all. 243. Hi im Kerri-lee O'hara and im trying to locate all my irish family im 18 years old and live in england with my mum. 244. JUST HELLO. I am Karen O'Hara born in New Orleans, Louisiana. Does anyone have a preference on the capitalization of the "h"? I have had this question for a while but it seems that I'm correctly capitalizing it according to the site heading. Hats off to all lucky enough to have such a cool last name. My name is Angela, and I'm looking for a Maurice O'Hara.He lived in Alberta in 1965, he would have been 21 at this time. He had a brother who would have been 15, his father was a mechanic and his mother a housewife. He was a bush pilot. Very important that I find him or a relative of his. Thank you for your site! Hello cousins, I'm Chris, son of John James,.grandson of James O'Hara (from Galway) and Sarah (Sally) Haynes (from Cork City). Could any of you contact me with any information regarding the Galway O'Hara's (possibly Tuam or Clifden). Grandfather James and his twin brother John hailed from there-abouts.My Father was beleived to be the last of his line, not-so – last contact was made around 1952. Cheers! My grandfather's name: Thomàs O'Hara McPhearson ... year 1880 (estimated) ... arrived in Lima, Perù ... he was a sailor ... he married Julia Montoya a Peruvian, etc. Any news? My name is David John O'Hora. I was born on 23.06.1979 in Dublin, Ireland. It is nice to see that there is such a great reference point for O'Hara's & O'Hora's. Both names share an almost identical family crest. I believe that many people changed the name O'Hora to O'Hara in the 1800's. Sending all the O'Haras a howdy ya'll from Georgia. Myself not being form here it is nice to see that there are O'Hara spread everywhere, a touch of family in every backyard. Hi, I'm 38 yo male from upstate NY, the Binghamton Area for sure. Grandma Francis and Grandpa Mitchell O'Hara. Father Michael J. and Mother Janet L. O'Hara. Any info out there about my family and the history of the O'Hara's in this area down to Scranton, PA area ? Contact me please! Trying to find my husbands family. Anyone with information on a William O'Hara from Flourisant Missouri who was left an orphan and raised by a Mrs. Harris, when William's father (James O'Hara) never returned home from the civil war.William's mother's name is unknown. She died shortly after his father. Other family names related are Stinson, Condon, Stewart, Donner, Wolf, and Nieman. Please contact me if any information. We want to know more about our O'Hara family. 260. A hearty hello from the South Buffalo, NY O'Hara's....Vincent, Kerry, Ava, Vivienne. Does anybody know the official O'Hora/O'Hara connection? Name butchered at Ellis Island or two variations of the same clan name? I'm from Ballarat, an old mining town established in the 1800's during the great gold rush. A Town in Victoria, Australia. If you are ever in Australia, look up my father, Peter O'Hara. He'll look after you. Wow ... I never knew there were so many! Im Michael Robert O'Hara - Born In Montreal, Quebec, Canada, Moved to Moncton, New Brunswick, Canada in the early '90s. Hi I'm MUGU MGBADA O'Hara and I'm trying to locate all my Irish family. I'm 18 years old and live in England with my mum. 266. a very interesting site. 267. I am also an O'Hara and I would be very interested in speaking with other people from around the world. 272. From one O'Hara to another - just want to say hello from Rochester NY - I was born and raised in South Buffalo. Looking for Sean Michael O'Hara, born in Illinois, lived in Las Vegas in 1989ish. Born 4/1/1970. 292. From an Irish O'Hara living in Spain — Just to be included in list of O'Haras. I used to live in London between 1989 and 1990. I lived with a family named the O'Haras — Sheila, Francis, Ryan and Jack O'Hara. They were lovely people and helped me very much. In those days, Ryan was a wonderfu baby. We kept our contact for a while. But this family moved to Dublin from London and we lost the contact. I visited London again and their house but I couldn't find them. I missed them so much and worried about them. Please help me to find my dear friends. I hope everything is okay with them. I thank you for your interest in advance. ii. MARTIN O'HARA, b. Abt. 1873, Ireland; moved to the UK and married a Margaret FOY born 1875 in Bohola Ireland. They married in Wigan but travelled around Lancashire as he was a Miner. Martin died. 13 Jun 1907, Brodsworth Main Colliery, Yorkshire. 403. Greetings to the Klan O'Hara. 35 from Sacramento in Northern California. My father is Walter James born to John O'Hara and Helen Gilfoyle in NY. 1941. My 2 brothers are Jeffray Scott 40, and Brian James 20, all in California. I have 2 boy's Michael Sean jr. and Dillan James...all boy's.Just doing my part to keep the name alive. " When Irish eyes are smiling, watch your...back!" 404. Greetings all! Michael Scott O'Hara from BC Canada here. Son of James Milton O'Hara (born September 1929 in Calgary AB). Great site! 405. Hi everyone I just want to add my name into this fantastic guest book. A big hello for the "West Midlands" England. 407. Hi O'Haras, My full name is Mary Shawn O'Hara-Smith. I am beginning to create my family tree. I did not know how many O'Haras there were!!! WOW! My Father was born and raised in Rochestor NY (Thomas Patrick O'Hara) Hope to write to some of you in the future. 408. Searching for my father Michael J. O'Hara Jr.
My father Michael John O'Hara Jr. was born in Brooklyn New York by a NYPD father, and he was in the US Air Force when he meet mother in Philippines in 1965-1966, and i was born in may 26,1967. My Dad left for the states when i was just a few months old and my mother and i never heard of him again.I want to get to know and meet him because my mother told me a lot about him and now i am 38 years old and i have two daughters Caitlin 11 years old and Christine 6 years old. I want him to know his grandchildren because we love him and miss him so much. Currently,I live here in San Diego California with my two daughters, and i would love to know my real father Michael John O'Hara Jr. Can your office help me to find him please. 409. hi to all you O'Haras out there, never knew we were so widespread. I'm an aul hand and new to modern technology. My father's people came from Crebilly Co.Antrim; there is a family burial plot there, love to hear from anyone out there who is from that area. 410. I'm IBM - Irish By Marriage, and somehow ended up being the keeper of the family history. Our branch is descended from Henry O'Hara, who arrived in upstate New York 1848, and married Mary Langan (both of Co. Mayo) in 1851. Any cousins, please drop a note! 413. hi to all the o'hara's. 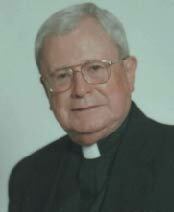 my name is mikala o'hara, sister of james j o'hara further down the page (message no. 358). i was born and live in bury, lancs. trying to find out info on my grandads parents james o'hara and sarah? came from ireland possibly co.mayo. can anyone help?? Hi, I am from Ausralia and reside in Victoria, searching for family, Grandparents lived in Whyalla South Australia. Fathers name John, possibly had a sister Dorothy Bell? Would be interested to hear from any other family members. 416. I'm Viv G O'Hara, one of the earliest signatories, from Anglesey in Wales UK. Hey, its great to see so many of us have visited and signed in since this Book was started. In the O'Hara family there is a Book of O'Hara written by the family Bard called Higgins. It tells of the history of the family and the brave deeds of the Clan and its leaders. Our name in old irish means.....sharp and to the point.Its so true of the many O's I've met up to now. I'd like to re-create this ancient book but this time as a record of all of us in a family tree format.........so e-mail me your details to viv@oharacoltd.co.uk We are a very capable and successful bunch.......be proud of your name . It goes back to 900AD. 417. I am very proud to be an O'Hara. I was named afer my father who was named after his. My Grandfather was awarded the Silver and Broze star awards in the pacific during World War Two for valor. I live in The Netherlands at the moment and I am from Enniscrone, Co.Sligo. My Father is Eamonn O'Hara from Co.Sligo and my Grandfather was James O'Hara also from Co.Sligo.I know our name originally comes from Co.Sligo so no doubt we are some how related to the High Kings of Ireland!! . My grandfather, James came to Australia from Crebilly, Co.Antrim, in the 1800s. His parents were Richard O'Hara and Rebecca Ann (Kelly). He was born around 1867. Regards to all of the Family O'Hara. Hello to all the O'Hara's!! I stumbled upon this site by accident and I must say it is fabulous! Anyway, my grandfather is Andrew (went by Lester - his middle name), married to Helen F Hayn. My ggrandfather was Patrick O'Hara m to Daisy Snyder. My gggrandfather was Patrick O'Hara also, m to Jane (last name??). I do know that my ggrandfather Patrick was born in Erie PA, he had a sister Ann or Anna who lived near Roanoke, IN. That's about it. Anyone have anything that fits with this bit of info? Let me know. Thanks bunches! Looking for information on the O'Hara's of Rush, Dublin, Ireland. Large family consisting of possibly 13 children (John I, Thomas, James, Joseph, Anne, John II, Eleanor, William, Mary Ann, Francis, Alice and Louis) born in that order between 1827-1850. Some emigrated to the Boston area (John II, and Francis) in the 1850's, possibly others. My great, great grandfather John II married a Margaret and lived on Henchmann Street in North End according to the 1880 census. He worked as a laborer, then as a fish monger. His brother Francis settled in Boston, then Winchester and started FJ O'Hara Fisheries. One manifest shows Francis and his daughter Hanora returned to the US from Austrailia (maybe to visit family?) Rumor has it some/many of the 13 children emigrated there. Any help appreciated. I am looking for relatives in Canada. My father William Vincent O'Hara was born in Bonniconlon, Co. Mayo, Ireland. He moved to Brooklyn, New York and married and had six children. I have met relatives in Ireland and England. I know he had a sister named Belle who moved to Canada, I don't know if she had children. 478. My name is paul o'hara, was born in eastbourne in 1979. my dad is anthony peter o'hara from burnley. i have two children a son called brody who is 16 months old and a daughter called tiana who is 10 weeks old. 479. I'm looking for roots of my parents: Duane Leo O'Hara (1913-1954), and mother, Katherine Cleo Striegel. Granfather is Thomas G. O'Hara, and grandmother is Laura Kelliher. I was separated in 1953. 480. Hello! I just discovered this page and its really sweet. I didn't realize I had such a legacy out there. I'm an O'Hara living in PA near Pittsburgh. How would I go about finding my geneology? 481. Hi, I'm Reniery O'Hara from Honduras. I wrote a letter to you in August 2001 (Link: http://www.oharas.com/letters/oharacastro.html) about my great grandfather Patrick O'Hara and and my grandfather Juan O'Hara (who died in July 2004 aged 98). I am still hoping that someone will reply. Well, thanks a lot for managing this site and giving us a sense of union despite the distance and culture. 482. Hi, just popped in to see if I recognized anyone. My name is Gidget O'Hara from Baltimore, MD. My father was James Leo O'Hara and his father was Thomas O'Hara. Somewhere there exists a 3 generation picture (Baltimore paper?) of My brother Thomas, our father and grandfather. Maybe one day I'll find it. Cheers to all the O'Hara's! 483. What a great Site ! You can find some pics of me at: www.starline-entertainment.de - Best wishes to all O'Haras. God bless you all ! . 485. So many O´Haras! But I´m searching for just one Canadian Jim. He visited us, Tuula and Antti, in the year 1975. We live in Finland near the town of Vammala. 486. We wish you and yours a Merry and Joyous Christmas and a Happy, Healthy, Peaceful and Prosperous 2009. Would anybody have any information on where I could start searching, or would any of your members have come across him during their searches in Australia. Would appreciate any help I can get. Just looking to reconnect with family. My biological grandfather ran off when my dad was quite young, and I never actually knew him. My father (Steven) was in the military, so we ended up moving a few times, and lost track of my Aunt Denise and my cousin Brandon. Last time I heard, they lived in Georgia (Warner Robins City?). We are looking for information about Thomas William O'Hara born 3/3/1874 in South Boston. Charles O'Hara (b.1849) was the father of William Bernard, John, Charles Francis, Peter Thomas, Cornelius, Winifred, Mary Ellen, Isabelle, Marcella, Thomas William, Thomas John, and Charles. Charles O'Hara had married married Catherine Conley in 1870 in South Boston. We are looking for baptismal information for Charles and information for Catherine Conley. 492. My Father was William Raymond O'Hara. I'm just starting a trace. 494. Does anyone know of the whereabouts of Frances 0'Hara Thompson? She is my godmother and I am trying to trace her, last heard of in Winchester Hampshire, was a radiologist. I am looking for any information regarding Dennis O’Hara who married Elizabeth Hahn. They had Andrew J. P. O’Hara in Coatesville, Chester County, Pennsylvania, on December 30, 1883; he died on August 8, 1910. Andrew was married to Mary Keeley (born on January 23, 1884) on June 28, 1905 in Coatesville, Chester County, Pennsylvania. After he died in 1910 she remarried Edward Appel on November 11, 1920, in Coatesville, Chester County, Pennsylvania. Andrew and Mary O’Hara were the parents of Marie, Dorothy and Thomas (my grandfather). If anyone has any information about this family, particularly the original Dennis and Elizabeth O’Hara, I would be so grateful. I am currently searching the O'Hara family from Neale, Killimor, County Galway. My great great grandfather was Michael O'Hara, married to Ann (Bridget) Brehony from Tynagh. They were married on June 18th 1870. 499. Greetings Clan! I had found this site some time ago but had forgotten about it (whoops) Its still good. Best wishes to all, Chris. I'm Chris, son of John James,Grandson of James O'Hara and Sarah (Haynes). Could anyone contact me with any information concerning the Galway O'Hara's in/around the Tuam area. My Father, John (living in England) was beleived to be the last in the family line, not so. Last contact was around 1950. This is my father. WC Bunting is the company he founded. I am curious what "II 450, 311" means. Biograhical details about my father: he was born November 10th 1916 and passed away on December 7th 1978 at the tender age of 62. He had five children born between 1947 and 1958: Delmar Terrence O'Hara (12/7/47), Timothy Mark O'Hara (11/30/49), Kathleen Ann O'Hara Hursh (10/18/51), Becky Jane O'Hara Gendreau (9/10/56) and me, Patrick Thomas O'Hara (11/10/58). I don't know if it means anything, but I think it's fascinating that he shares a birthday with his youngest son and passed away on the birthday of his eldest son. PS. Dad was also in the State Legislature of Ohio. The reference numbers "II 450, 311" are found on page 2797 (volume 7) of the American Biographical Index, 2nd cumulated and enlarged edition (ABI), which contains a summary of the information contained about more than 488,000 persons featured in the American Biographical Archive (ABA) and the American Biographical Archive, Series II (ABA II). Completed in 1996 ABA II is a cumulation of 127 biographical reference works published to 1980 and reproduced in a single alphabetical sequence of 734 microfiches. ABA and ABA II together cover a total of 502 biographical reference works contained on 2576 microfiches. The reference "II 450 311" therefore means: ABA II, microfiche no. 450 and frame no. 311. That frame contains a photographic copy of the entries about your father in two biographical reference works, namely Who's Who and Midwest. 506. I will have to sign in from down-under. [AUSTRALIA- for those unitiated] My gggrandfather was Thomas who married 1st cousin Sarah. Both hailed from Greahdosan, Cavan, Ireland. Contact welcome. Just giving everyone a quick update about me, Lionel Hamilton O'Hara: born 1956 of Desmond Hamilton and grandson of Edward Hamilton, have 2 children Harrison Hamilton (born 1989) and Holly Mitzie Elizabeth (born 1994), reside in the UK with both children, have danced on moon beams across the Indian Ocean and sat in solitude upon mountains high, lived, loved and laughed a lot. My son Harrison is now at University in the UK reading Construction Management. My daughter is going to be a famous actress ... she told me so but first she has to attend school. 509. My name is Colin O'Hara (26), I am from Cavan. My Father was born in Sligo. My great grandfather John O'Hara was born circa 1819 in the Ballymena, Antrim area. His wife was Martha Millar and they had six children: Alexander b. 1841; Jane,b.1844; Charles, b.1846; Henery b.1847; John, b 1850; Samuel, b 1854. They then moved to Scotland where Margaret was born1/3/1857. We have 650 descendants in the family tree but know nothing about the descendants of the youngest three children, John, Samuel & Margaret. Would love to hear from their descendants please. 513. Hello my name is Jennie O'Hara from Minnesota. I am currently researching my grandfather John Terrence O'Hara b. 08/12/1880 had children with Minnie Leyde, however, never married. Resided in Minneapolis, MN. All I have to go on is a WWI Registration Card for him. I'm looking for any information I can get. It has been said that he was born in New York. Family has mentioned that his mother lived in Duluth or Two Harbors, MN. Born In Newark New Jersey 12-05-1972; graduted Union High School Union NJ. 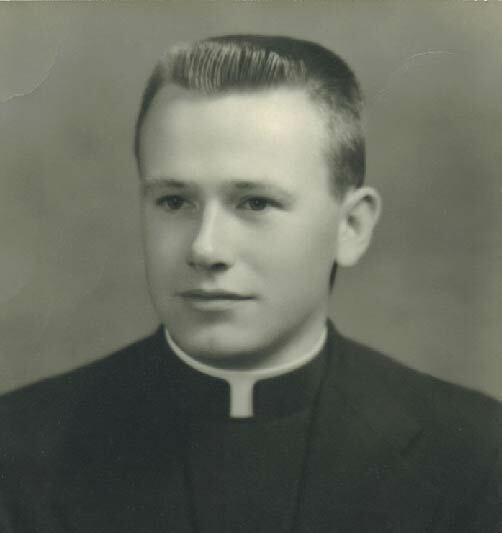 Father James Patrick O'Hara Sr. Mother Luz Digna Melendez O'Hara. by James Patrick O'Hara Jr.
516. I would like the e-mail of Dermot and Rosemary O'Hara, I was babysitting during summer 19.. looking after the lovely Kean and the so charming Durcan. I enjoyed so much the welcome, and "la joie et les taquineries" of Dermot during my summer at Annaghmore ! Dermot learn me driving his land rover in the parc, and I remember a wonderful and terrific morning in the zodiac for picking up the "casiers" of lobsters. From the Webmaster's Reply: In the Sligo Weekender I found the following death notice (Tuesday, November 01, 2005): «BEREAVEMENT: Sincere sympathy is extended to Dermot O'Hara and family on the recent death of his wife, Rosemary, late of Annaghmore». From Emmanuelle de Schompré's Reply: Your mail confirms that is indeed the family of Dermot O'Hara and it is with sadness I read about the death of Rosemary. I thank you very much for your research; it is so great a souvenir for me. 518. Looking for Patrick O'Hara from Ottawa Ontario Canada. I am looking for Patick O'Hara who was looking for Sean O'Hara who married Marcia Latty in MO Bay Jamaica. My grandparents (Jerry O'Hara and Mamie Normile) came to Canada and then to SW Missouri. I don't have the facts in front of me but will say it was around 1900. They had six sons (James, Paul, Brian, Mark, and Clarence) and one daughter (Ruth). In the 30s and 40s the farm failed and all of the boys dispersed from SW Missouri (Ruth died in her youth). There are still some relatives back there. I am the third child of Paul and Dorthy (Kennedy). I live in Georgia now. Is anyone related to Dennis O'Hara from Ireland who married Elizabeth Hahn? They had Charles b. 10/13/1882, Andrew b. 12/30 1883, Edward b. 2/2/1887, Ann b. 10/13, 1888, Helen b. 8/5/1890 and Elizabeth b. 12/23/1891. They were members of St. Thomas the Apostle Church in Chester Heights, PA and lived in Lenni, PA.
My father was William Joseph O'Hara he had 2 sisters Mary and Margaret both never married. He Married Margaret C Bunce they had 8 children; Mary Jane,William,Pam,Francis,Gerard,Gerald, Margot and Kathleen. The parents lived in NYC and moved to Ridgewood NJ. 522. I am looking for information on my great-grandfather John "Jack" Terrence O'Hara. I have a WWI Registration Card to go off of. He was born 08/12/1880 in New York. He moved at some point to Minnesota. Did not marry but had approx. 9 children with Minnie Leyde. Children are: Fern Alice, John T, Daniel, Donald, Thomas, Frank, Leo, Patrick, Mary Jane... birth years range from 1914 to 1927. If anyone has any information regarding John I would greatly appreciate it. 525. My name is Kathryn O'Hara from Skaneateles Falls, NY. If anyone knows anything about O'Hara's from that area please email. I'm trying to research my family tree. I live in Melbourne, Australia, and I am looking for family members in Australia descending from Joseph O'Hara and Margaret Carroll who arrived in Australia about 1864. I would like to hear from any descendant of the O'Hara clan from Rush, Ireland. 533. Hi, im liam and i can't believe how many people know of this site. I found it a few years back but i never made an entry, but i am now. I was canadian born but have pretty much a full Irish background. I've been to ireland and i just loved it. When its time i'll for sure move there. So to all the O'Hara's i wish you the best. I don't know where to start this story, it seems so sad and unreal to me, how little i know about my family and myself. It reads like a bad movie script but apparently it's true. I hope it makes some sense to someone. Shortly before my father died he informed me that he had some half brothers that our family never knew about. Well here goes ... my father, George O'Hara was born 4th june 1928 in Dublin Ireand. He was born outside of wedlock; both his parents had been recently widowed and became a couple for a few years but later broke up and he was reared by his mother (first marriage name Conway, maiden name Uzell). His father was Richard O'Hara (unknown age) who had two sons from his first marriage. Their names were Richard and Patrick O'Hara born in the late 1910's or early 1920's. Their birth mother had died giving birth and they were removed from their fathers care by the Irish State and placed in Artane Industrial School - a shamefull practice from Ireland's recent history which has shocked my nation because of the abuse suffered by individuals in these institutions. When wy father was only 2 or 3 years old (circa 1930/3) his father Richard broke his two other sons, Richard roughly aged 10-12 and Patrick roughly aged 8-10 out of the industrial school and tried to take my father from his mother's home but she managed to chase him away and never seen him again. At this point it is believed that his father took the other boys to the United States, unknown location, as this is what my father was told by other members of his family. So if anyone knows of a Richard O'Hara who immigrated to the United States with his two sons Richard (10-12 yrs)and Patrick (8-10) in the early 1930s and came from Dublin, Ireland with what some might think are tall tales like the one I have recited, could they please contact me. I know these peolpe are most likely deceased as my father was 77 years old when he told me this story before he died, but they may have had families that are still alive. It amazes me and saddens me to the bottom of my hearth how little I know about my family only one generation back. 536. Looking for information about Bruce O'Hara. He was born 1952, New York city. He was one of a couple of brothers and sisters given in adoption and separated from each other. So if you have any information send it to my email, Cire. 537. This site is really cool, i always wanted to know the history of my last name and how many people had it in America. I hope more people get on the this site. 542. I was looking for some family history and I found this and it is very interesting. Thank you. Hi, great web site, there are so many O'Haras out there! My dad is Jim O'Hara, he has 4 brothers, William, Tam, Gerard and Robert. Their father was William O'Hara and their mother was Agnes or Nancy O'Hara. We live in Bathgate, Scotland. My grandfather's father was Pat O'Hara who I believe is from County Mayo. If anyone thinks they are related it would be great to hear from you!!!. 545. I am looking to find my Father's family. They are from Bonsboro PA, from what I was told. My Father's name was Lester Merle O'Harrah and Moved to NC sometime in the 1950's. My Father never returded to PA and I never met his family. I belive he had one brother and one sister but I am not sure. Any information would be appreciated. Like my relative John Marshall O'Hara in Melbourne (Message 384) I am too am keen to learn more about my forebears who emigrated from Antrim (Ballymena?) to Scotland between 1853 and 1857. 552. Hi to all the O'Hara's. I didnt realize that there was so many of us. My dad, Patrick Joseph, was originally from Mooncoin, Co. Kilkenny. His dad, John, served in the British Army during the Great War and subsequently in India for a number of years. Just curious. I'm from Perú, my father's grandfather was a grandson of an inmigrant from Liverpool called Bernard O'Hara Coor; his son Santiago O'Hara was a National Hero because he died in the "Batalla de Miraflores" (Battle of Miraflores). Trying to locate more details of this family. John (son) and Sarah (daughter) emigrated to New Zealand in 1875 and 1879 respectively. James (Jnr) emigrated to USA about the same time. No further contact from him or location where he went. James and Jane remained in Fintona. We are desendants of John in NZ. I am trying to find information about a Matthew M. O'Hara, my grandfather. His date of birth is about 1871, death 1949. He married Nora M. Lynch in Chicago. They had four children: Therese, James, John Joseph (Jack) and Noreen. 559. Hi from California. Trying to locate family related to my father, Francis O'Hara (6/18/03 - 9/28/55) of Malden, MA. His mother was Rose Kane of MA and father John Henry Kane of Boston. Great grandparents were James F. O'Hara (O'Hare) and Elisa (Eliza) Pugh of Antrim, Ireland. Thanks for any information. 561. I'm wondering if, in anyone's research, someone has come across a Clarence Mervin O'Hara, my grandfather, or a Randall Clarence O'Hara, my father. Im curious to find my family history. I am always looking for information on Charles O'Hara. He wrote b 1849 in Sligo on his paper work. Items such as the naturalization papers simply say Charles. Some thoughts to the names of his parents via naming system inference suggest that he wrote differing names on his marriage registration in South Boston. He disappears on the US census for a bit, he might have moved from Boston for a spell. I have a whole bunch of relatives of his descent tracked. I can not find any record of him. He might not have been Catholic. 568. My father Patrick John O'Hara was born in 1930, either in Ireland or in the U.S. He resided in the Chicago area, where he was a mechanic in the 1960s, and he died in 1987. 569. Hello there, I am looking for Sheila O'Hara. I met her in Senegal in 1982. She was then an American Peace Corps volunteer. She left Senegal in in 1983 or 1984. My email is bakary@alumni.uottawa.ca or bdiallo@avu.org; thanks. My grandfather was John J. O'Hara from near Scranton Pa. I think he worked on the Erie Lackawanna RR; he may have been an orphan from St. Johns Orphanage. He married Francis Kramer - guess about 1900 in Scranton. He had 3 children, Margaret Agnes, Joseph Frances and Nicholas Lawrence, all dead. I am Joseph's daughter. They moved early 1900s to Brooklyn, New York. I know he married into a German family (Brills, Spohrer, Hammerschmidts etc.) That is all I know about his life in Pa.
My name is Michael Ryan O'Hara-Hanson, I live in Regina, Saskatchewan and I was born August 1st, 1986. I'm looking for my father Michael Robert O'Hara, born around April 13, 1947 or 1948. I don't have much info on him. He lived in Regina, Saskatchewan and may have been born in Ireland or Montreal. My mother is Marion and did not take his last name but was never married to him. If anyone can help me with any leads or any information I would be grateful. I am aware that a Michael Robert O'Hara is posted here but he's 23. I am 23 years old and have been at this for 5 years. We've traced our lineage back to John O'Hara (1782-1846), who is said to have been brought over from Ireland by James O'Hara (1754-1819) (Link) of Pittsburgh, PA. We don't know if these men were related (son & father?, cousins?, no relation? ), which is a questions that would be nice to answer. There is much written about James, but nothing further about his relationship to John other than bringing him from Ireland. We are also interested in learning something of our Irish roots. 579. I am seeking descendants of the O'Haras of Lorrha, Cloughjordan, Co Tipperary, in particular of Thomas O'Hara, b. c. 1870. 581. Hello, My name is Kathy O'Hara. My dad is Charles D. O'Hara his parents are Van and Viola O'Hara; my dad has 1 brother Thomas O'Hara. Dad has 4 children: Charles Jr. , Janet, Kelly and me Kathy. My dad has passed away and I just wanted his name out there he would have liked this site. 582. my name is tim, i am from brooklyn, n.y. i am searhing for my father noel o'hara, he sepperated from my mom in 1970 the year i was born and possibly moved back to ireland. 583. My name is Katharine Margaret O'Hara Scatena. I live in Fort Wayne, Indiana, USA. There are many O'Hara's and I wish you all many blessings. Some of my grandfather's people were: John O'Hara, William Denny O'Hara, many Katharines in the family tree. 584. I want to connect with O'Hara desendants of John Patrick O'Hara & Frances Drusilla Siegertz from Ceylon (Sri Lanka) who moved to Malaysia. Have connected with some O'Hara relatives in Singapore, Cheers. 585. My name is Shannon Brooke O'Hara. My father was James Milton O'Hara born in Alberta and his father was John O'Hara from Ottawa. James had a sister Frances and his mother's name was Margaret. I would like to get in touch with the children of Frances who are my cousins. I know one is Matthew McCallum but no others. 587. Hey, I'm Molly-Kate O'Hara, I am 14 and come from Liverpool, England. I love the fact that there are loads and loads of O'Hara's out there :). My dad is O'Hara too. you might like to add my music page to your site. Check me out at: http://indieland.com/artist/scott_ohara . Hello to all the family. I just had a son - Tait James Tynan O'Hara. My father Vivian Gervaise O'Hara (listed in here as one of the first to join) had me born & brought up in my early years in Dublin (to further forever remind me of my routes). As my dad has stated y/our family dates back to 900 AD so we must be good at producing boys eh! I am very proud to be an O'Hara! My great grand father was a Bernard O'Hara from Liverpool. He had eleven children, the third died fighting Chile in the 19th Century and is a national hero (Santiago O'Hara). I am descended from the fourth, the O'Hara-MacPherson branch. 592. HI all we are christened O`Hara but just found out we are actually O`Hora. spell mistake. so how many O`Hara`s are actually O`Hora. we were origanaly from.... stonepark, foxford, county mayo, ireland. need to correct the name somehow, any ideas!!!! 594. Hello I am looking for a Peter John O'Hara who up until 2005 lived in Normanby, Middlesborough, Cleveland, England. His father was also Peter and he died in November 2002. I would appreciate any information about PJ. 597. I am looking for unknown relatives. Originally from Raritan Twsp. now Edison, NJ, now residing in Georgia, son of Martin J. O'Hara deceased 1981. Father Robert Edward OHara, (3 brothers) Cazenovia, NY; Grandfather Edward O'Hara (2 Brothers, 1 Sistrer) all from Cazenovia / Manlius, NY. I will try and provide more details, but father passed when I was only 1yr old so history is a painful question. 628. Go online and Google O'Hara from Ballysadare and Kilvarnet and you'll find and interesting book that you may read online. I am looking for any information about my father Patrick James O'Hara. I have never met him and know very little about him. I was born in 1960 in Pemberton, Western Australia. On my birth certificate my father is noted as Patrick James O'Hara, 52 years old born Dublin Ireland. His occupation is listed as mechanic. My mother Joyce and Patrick were living and working in Shannon River a small timber logging community in the South West of West Australia. 630. My 1st name is O'Hara !!!! Last name is Costello. I am black Irish. My father is from Matawan, New Jersey. Love to know if there are any others lucky enough to be blessed with the 1st name O'Hara !!! 631. Hello my name is Elizabeth O'Hara, my family tree goes back to 1800s Robert O'Hara. I live in Scotland. 634. Currently living in Pittsview, AL. My Father was Robert Thomas O'Hara and my Mother is Marilyn McQuarter O'Hara. Just wanted to check in. Any family members that know me, get in touch. 636. (from Phila., PA) Records show a George O'Harra arrived in Philadelphia from Dublin in 1773 as an indentured servant, and likely fought for the colonies in the Revolution. Any way I can track ship arrivals back that far? Can't seem to connect to a town in Ireland. 637. Looking for information on my 4th great-grandfather, Stephen O'Hara, who immigrated to Phila PA prior to 1799. Family lore says that 3 brothers came to America together. Other prominent first names in family are George, Henry, James and Charles. Any help is sincerely appreciated. 642. Where is Valerie O'Hara from Homestead, Florida? Your relatives would like to be in touch. 643. I am the granddaughter of Ernest Reginald O'Hara and Anna Mae Herlihy, My father John Douglas was their eldest son b. May 30 1927 d. Feb 28 2007. My family has been seaarching for my cousins Kevin Elwin O'Hara approximately 44 years of age and his sister Jaqueline unsure of her age for many years. If anyone has any information. 645. Jamie O'Hara wrote the lyrics of the song «50,000 Names (Carved in the Wall)» and George Jones sang it - you gotta hear it. Turn on your sound....be sure you wait until the music begins. Click here and scroll down. 646. Looking for a long lost friend, Scott O'Hara who was last known to be in the twin cities of Minn. Scott worked for me in the Marine Corps in the late 80's. Please if you know him have him contact me. 647. I am an O'Hara from New Zealand, and am looking into my family history that backs to my irish heritage. I signed up on your List of Messages page & mentioned I was working on the family tree. I also referred to my DNA which is noted on your List of Messages: #546. I'd like to trace grandaunts who went to PA, e.g. Mary O'Hara, b. 28 Sept 1851, her sister Catherine/Kate, b. 06 Jun 1856. Also, their brother, Bernard b. 16 Oct 1859. Possibly to Pottsville or Wilkes Barre. We would love to have others join the O'Hara Surname DNA Project (in your < href="http://www.oharas.com/genealogy/index.html">Genealogy page). Might I request I be included in your Categories Index under Authors & Writers (Other O'Hara Writers) ? If you need any further details on publications I can let you have them. Thank you. Brief professional biog: Broadcaster and writer, Aidan O'Hara, has worked as a presenter and producer with RTÉ (Raidió Telefís Éireann – Irish National Broadcasting) and CBC (Canadian Broadcasting Corporation), and now lives in County Longford. He is engaged in writing full-time (Eng. & Gaelic), but stays in touch with broadcasting through occasional contributions to Radio Telefís Éireann and Raidió na Gaeltachta. 650. Hello, My name is Barry O'Hara Jr. I am trying to find out more about my ancestors and the rest of my family, all I know is my father grew up around Sylvania Ohio, If anyone can help me in any way please feel free to contact me through my email. 651. My name is Kevin Michael O'Hara, from England. I am trying to trace my GG Grandfathers family in Bocks Mayo. GG Grandfather was Patrick and he was born in 1836. Uk census says Bock Co Mayo. He, like a million Irish, left during/after potato famine. They settled in Lancashire and worked in cotton mills. UK census info says that both Patrick and wife, Mary Sullivan, were born in Bocks Co Mayo. They married in England. This is going to be difficult as both the names Patrick and O'Hara are not exactly unusual. Any help appreciated. 652. Hi, I am searching for a young lady who was a painter and had a gallery. Her name was Katie O'Hara. She passed away in 2001. I used to chat with her, she was part of a prayer team we belonged to. Her Dad had passed on when she was young and she called me Pop. I would like to find out more about Katie, I even wrote a poem about her, but cannot remember her. Please contact me if you have any information about Katie O'Hara. 653. Hello to whomever reads this. I am an O'Hara, of Ottawa, Canada. Currently, I am mastering International Studies, with specializations in French and Economics, to become a diplomat. My most dire inquiry concerns the location of any saved notation or photograph - whether singular or multiple, any number of documentation would be precious - of my grandfather, Platoon and Artillary Sergeant Kenneth O'Hara. 654. Hello, I am Colleen O'Hara living in the United States. I have a friend doing geneology for me and she has traced my tree back many generations. My father is Robert William O'Hara (Bob) in northern California, Grandfather William O'Hara of San Fernando, California. I'd be happy to provide anyone who is interested a link to our family tree. 655. My GGGrandfather Patrick moved to Lancashire, he was born in Co Mayo in 1837 and left during potato famine. He married Mary Sullivan, also from Mayo, in 1867. His father is listed, on their marriage certificate, as Patick O'Hara, deceased, and occupation of Farmer. I am unable to discover if Patrick senior died in Ireland or England and have no idea of his DOB.Family names are: Patrick, John, Joseph, Michael, William, Thomas,James and Ann. I think I have Patrick Jnr as a lodger in 1861 census near Rochdale but as a lodger, he was 24 years old. Any help appreciated. 656. I was born in England. My GGfather, David, came down to Carlisle from Glasgow (Scotland) but whether it was he or his father that came over from the West of Ireland - Co. Mayo probably, I do not know. I now live in Nova Scotia. Family names were James, Thomas, William. I have been trying to find when my family actually came to the US but I've hit a road block. I can't find anything beyond my great great great grandfather Hugh O'Harra who was born between 1770 and 1780 and died in 1850 in Indiana. As far as I know he had 10 children who's names are as follows from oldest to youngest: Arthur, Charlotte, Ezekiel, John (died in the 1850s), Margaret, Wesley, James (born 1810), Hugh Jr. (born 1820), Daniel (my gggrandfather, lived 1817-1888), and Elizabeth (born 1839). So if anyone has information that can help me continue my search back it would be great. 659. HI i am John Kenneth O'Hara from Franklin, Ohio. I'm a systems Analyst and my Parents are ken and Barbra O'Hara, and my Grand father was Russ O'Hara from Kentuckey. 660. Hi This is great ! Iam hoping for some help. My Great Granfather Robert O'Hara came to Minnesota from Canada not sure when and the courthouse burned in both Mn and Canada. My GGreat Grandmothers maiden name was Mariah LeTed. My Grandfathers name was Leo O'Hara he was a horse trainer (trotters), My father is Thomas Robert O'Hara. 661. Hi to all the O'Hara people all over the world, my great grandfather was Michael Daniel O'Hara, born in1823, maybe came from Sligo, we believe he was in the British army, he migrated as a free settler to Australia, settled at Oatlands; Van Diemens Land, nowTasmania. Married an Irish girl named Catherine Hynes (unsure of correct spelling of her maiden name,) Catherine and her sister Ann came together from county Clare; worked as housemaids, Anne married George Sawford, Michael and Catherine had 3 sons and 4 daughters. Do any of the O"Haras know anything about my great grandfather Michael Daniel. 662. Christmas Holiday Wishes from the O'Haras of Leixlip, Co. Kildare, Ireland. 663. I am searching for any information about my biological father Alfred Paul O'Hara born 1915-1916, I believe in Montgomery Alabama. My mother would never give me any information about him, and now that I am 70 years of age, born 10-16-1941, it would be wonderful to hear anything I could about my Dad. Thank you in advance, Ruth. 665. Hello to all of the amazing O'Haras in the world, simply the best name there is!! I am Melanie O'Hara, youngest child of Robert H. O'Hara and Hazel O'Hara, from Youngstown Ohio. 666. Please contact me if your line has any connections through Chester County, Pennsylvania! I am looking for relatives of Dennis O'Hara and Elizabeth Hahn/Hawn. They lived in Chester County in 1880 and had six children: Charles, Edward, Andrew, Elizabeth, Helen and Anne. 667. Deborah O'Hara - Hi searching for information on the O'Hara's from Youngstown, Ohio. Will be traveling soon to Belfast and wanted to trace my husband's family. My husbands name is Timothy E. O'Hara and his father's name was Joseph T. O'Hara (died 1988 at age of 49), he had two brothers Leslie and Jerome. Their mothers name was Hazel and fathers name Joseph. They lived on the Northside of Youngstown. Any information would be great. Ancestory.com was of no help at all. 670. I am Edward O'Hara Grandson of Mickey O'Hara Inventer of The Mouse Wheel. 672. My GreatGrandFather came to Saint John New Brunswick circa 1850 from County Sligo.I am one of two remaining great grand children of a family of 9 siblings sons and daughters of Roland O'Hara and Winnifrieda Dunn.Would love to hear from any and all O'Haras or Dunns,I expect we are all related in one way or another if we go back far enough. 673. Looking for Abraham O'Hara's father who was born in Ireland and moved to Canada (lower). Abraham was born in Canada in about 1820. His mother was French. 674. My grandfather would have come over from Ireland around the beginning of the 20th century. His son, Patrick Joseph O'Hara Jr. was a professor at UCF; he committed suicide in the late 80's I think. We completely lost touch with that side of the family as my mother had divorced Jr. when I was 18 months old. I am Patrick Joseph O'Hara III and I carried it on with my son, # IV. 678. I am looking for information about my grandfather, Albert James O'Hara, Sr. My father was born in northern New Jersey to Claire Hendrickson O'Hara who passed away a few years later due to TB. My late father was raised by his maternal grandmother so we don't have much information about him other than the father disappeared shortly after she died. 679. Looking for relatives of Hugh Sr (b. 1856) and Anna Ginnity O'Hara. Children: Patrick (b. 1880) Sharon PA, Thomas (b.1882) Pittsburgh, John (b. 1887) Struthers, OH, Bridget O'Hara Tegge (b 1885), Mary (b. 1892), James F (b. 1891), Hugh Leo (b. 1897) and Therese O'Hara Desper (b. 1898). 681. I am looking for Tom O'Hara. Met him in Calcutta India. He was on the ships. My name is rebecca Russell née Jacob. 683. I am Robert P O'Hara, son of Joseph P O'Hara, Grandson of Arthur O'Hara, Great Grandson of Bernard F O'Hara of Vestal, NY. Any geneology would be greatly appreciated. 685. Hello all, I am Maureen (O'Hara) LaMarra daugther of Anothony Joseph O'Hara borm August 8 1911. He is one of eight children born to Michael O'Hara and Agnes (Flowers) O'Hara. Michael was born in Ballena, County Mayo, Ireland around 1876 and died in the great flu epidemic in the 1920's in Philadelphia Pa. USA. I'm just starting to delve into my ancestry and would love to have contact with anyone who may be related to me. 686. Hi my name is Allannah O'Hara. I don't have a lot if any information about my biological fathers family. He is Robert Wesley O'Hara. I don't know his fathers name or his mothers maiden name, but his mothers name was Loraine O'Hara. My father was from Lima, Ohio area. I know my brother and I have a half brother and his name is Micheal, but not sure if his last name is the same as ours. I've been looking and have found nothing. My biological father is 1 of 12 maybe 13, they were all spilt up when their mom died I believe and their dad took off. So any kind of information would be wonderful. 688. My name is Amber Marie O'Hara. My father is Thomas Robert O'Hara, my granfather Leo O'Hara, great grandfather Frances O'Hara lived in Minneasota, came in thru Canada. All records were burned in fires in US and Canada. Any info would be so much appreciated. 689. I am looking for information on my great-grandfather John Terrence O'Hara. I have a WWI Registration Card to go off of. He was born 08/12/1880 in New York, however the 1920 census states 1883 but based on his birth month and age at the time he would've been born in 1882. He moved at some point to Minnesota. Did not marry but had 10 children with Minnie Leyde (1920 cenus states Minnie OHara). Children are: Fern Alice, John T, Daniel, Donald, Thomas, Frank, Leo, Patrick, Mary Jane... birth years range from 1914 to 1927. If anyone has any information regarding John I would greatly appreciate it. I have nothing but the 1920 census and WWI Draft Card. PS. See also: messages 191 and 337. 693. mi nombre es victor o'hara silva vivo en korea naci en peru i ha todos les digo k la mitad de 8 es 8 igual k es 0 igual k es 3 sera por k soy un o'hara. 695. Hi, I am looking for information about my great great grandfather Denis O'Hara who married Matilda Griffin in around 1865. Originally from Leitrim I believe but who settled in Fermanagh and had 11 children including my great grandfather John. 698. I am trying to get in touch with Nursing Sister Agnes O'Hara or indeed any relatives of hers. Can anyone help me? Her last known address was in Ballymena, County Antrim. 701. Being involved in the compilation of a family tree I am looking for anyone who may have known my uncle Lawrence Edward O'Hara who was born in Cloongreaghan, Cootehall, Boyle, Co Roscommon, Ireland on the 6/Jan/1906. He was a Sgt in the US Army during World War 11. He died on 20 Jan 1956 in the US in a construction accident. It is believed that he was married but may have been separated or divorced when he died. He is buried in Jefferson Barracks National Cemetry in St Louis. 703. My Husband's name is MICHAEL O'HARA and his great, great grandparents left Ireland sometime between 1847-1851. ANTHONY O'HARA - born ? 1811, married MARY CORCORAN - ? 1811. They had 5 children who were born in Ireland … CATHERINE, born 1836, THOMAS, born 1839, MICHAEL, born 1843, ELLEN, born 1845, and ANN, born 1847 ... then one more child after arriving in Canada - JOHN, born May 5 1851. We know that they traveled to Canada sometime after Ann's birth in 1847 and their last son was born in Canada in 1851, but have not been able track any connections in Ireland prior to immigrating to Canada. Any info would be appreciated. 707. I am William O'Hara from Melbourne, Australia. I am looking for any information on Joseph O'Hara, born 1834 in "Rush"(? ), Ireland, married Margaret Carroll on the 5th October 1863 in Dublin, and emigrated to Melbourne, possibly in 1864. They had their first child, Margaret O'Hara in Melbourne in 1865. Regards! 709. Hello, Am researching O'Haras who lived in Philadelphia beginning in 1850s. Hannah O'Hara married Michael Welsh about 1860. Her parents were Margaret Catherine and John or Patrick O'Hara. Possibly from County Galway. Any help greatly appreciated. Thanks, Pat. 710. Hello, my first name is O'Hara. I am the daughter of Thomas Francis Costello who is from Matawan, New Jersey. My father has 9 brothers and sisters. Costello is black Irish. Costello is black Irish and often thought to be of Italian descent when thes left Spain and went to Ireland. Here are many black Irish with olive skin, dark eyes, dark hair and we are all black Irish. My true full given name is: O'Hara Jane Costello. Interested in knowing if there are any others with O'Hara as 1st name??? Get back to me if your 1st name is O'Hara, love to talk to you!!! Much love to all. O'Hara is a beautiful name and I'm pround that I am. Bless my parents who gave me a name so unique as O'Hara for my first name, with kind regards to all! O'Hara Costello. Contact me at the email address below. 711. Patricia Ann Moran, from Scranton PA, Wilkes Barre, is looking for a past friend Patrick O'Hara who would be approx. 75 or so. Patricia Ann Moran married Stanley Frank Kaminski. He has since passed away approx. 15 years ago. She would love to catch up, if possible. 716. I am an O'Hara by birth. My Father was John Percy O'Hara, his father was Peter O'Hara, all born in Ontario, Canada. Peter was married to Charlotte Prosser. My mother was Edith Ruth Van Steinburgh. I would like to know where & when my O'Haras came to Canada. Thanks. D. Burson. 717. Hello, my name is Victoria O'Hara, my father was Willaim O'Hara, he passed in 1966, grandfather Stanely James O'Hara and my GGfather was Joseph O'Hara. They lived in Toronto and had a farm in the Oakwood and Vaughn area. Would love to hear back from anyone that might know them. 719. I am looking into my family tree. My great grandfather was John O'Hara possibly born Galway. His son my Grandfather was Patrick O'Hara born around 1885 born Galway. John married Catherine Concannon born approx late 1880's who was from Roscommon. Children of my grandparents were Mary, Kathleen, Lillian and Terrence who was my father. Any information would be welcome. 722. my father was Joseph Patric O'Hara II married to Beatriz Kadala giving me 12 brothers and sisters: Teresa, Joe P. III, Robert, Monica, Christopher, Mark, Me, Oona, Emmette, Mathew, Christina, Steve and Thomas. His father is Joseph Patrick O'Hare (Rep. MN) married to Leila Lee White, his parents Patrick O'Hara and Catharine Doyle (Ireland) two younger brothers; Edward and Terry. 723. Hi, I live in Marin County, CA, and am the daughter of Lori Cecilia O'Hara (MY mom passed tho on 12.27.08) and granddaughter of Thomas J. O'Hara and Coral O'Hara of San Francisco and San Rafael, CA. My second cousins are Francis and Kathleen O'Hara of New York and San Francisco. 753. I'm Patricia O'Hara from New Orleans; everyone calls me Tricia. I was born and raised in New Orleans. My father and my grandfather's names were Robert O'Hara. I also have a cousin named Father Denis O'Hara, whom I don't remember meeting. However, my dad brought his name up often. Also, my dad had two brothers, Johnny and Jimmy, and a sister named Carmel. Thank you, Tricia. 756. I may have traced my O'Hara roots to Samuel O'Hara who married Margaret Blakesly. Their son, Hugh O'Hara was born in Ballymena, Antrim, Ireland on 10 March, 1863. He married Anne Bryson, daughter of Robert Bryson and Sarah Caldwell. Anne gave birth to my grandfather, William Hugh, my father, William Donovan, was born of his marriage. Trying to find out if any of my family remains in Balleymena. 758. Hi, my name is Kathy O'Hara wife of James O'Hara and we would like to contact John O'Hara last known to us living in Perth, Australia. He is James' cousin. 761. All I know is that there are 4 generations, all lived in Glasgow in the Cowcaddens area. We know that our GGrand parents were from Ireland. I have what information I can get on Ancestry (ancestry.com) – Richard Hugh O'Hara, from Glasgow, Scotland. 762. Looking for information on Ernest O'Hara. Born Prince Edward Island, Moved to the Boston area in the 1930's. Killed in action WW II when flying back to England over the North Atlantic in a B-17 to his air base. He was my "Grandfather" Would like to find out any information about his life. by Robert J. O'Hara Jr.
763. My greatgrandfather James F. O'Hara & greatgrandma Matilda McShane came to Canada around 1924-1925 with thier son my grandfather Francis J. O'Hara. I believe from Ballymena Ireland. Any family out there contact me. 766. I located an entry for Edward O'Hara in Illinois for dates 1864 and 1870 in your database. I'm searching for my great-great-grandfather and this could be him. My question is what does Id: 2617 refer to and what does Entries: 1104 refer to? If one or the other of these items refers to additional comments and/or notes, how do I access that additional information? Thank you in advance for your assistance. This website has been extremely helpful and I hope it can lead me to my great-great-grandfather. He's my ancestor who came to America from Ireland and I'm trying to determine where in Ireland he migrated from. There are three databases at this site, namely the Database of O'Hara Persons, the Database of O'Hara People and the Messages database. Work on the O'Hara Persons database has been suspended. It was compiled between 1998-2006 and lists more than 2300 persons (that is id numbers 1 though 2300+) from more than a 1000 messages (that is Entry numbers 1 through 1019) posted at the O'Hara Genealogy Forum at Genealogy.com. The forum still exists but its entry number scheme has been removed and a total of 786 results from posts since 1998 are listed. The posts are not numbered and there is no simple correspondence between the results displayed and the original entry numbers recorded in the O'Hara Persons database at this site. Therefore, the compilation has been suspended. The O'Hara People database is being continued and the intention is (in due course) to include and analyse all data from the Messages database at this site. We are the only Canadian O’Hara’s that share this history. 775. Hello my name is Daniel Dodge, I was seperated from my brother when we were very young , His name is Michael O'Hara, our dad was Jack O'Hara and our Mother Rosemarie Ann Homitz (her maiden name). I know that he lived in Clevaland Ohio, and is a professional arm wrestler. I live in Alabama. If you could somehow put me in contact with him I would really appreciate it. 783. My grandfather Walter Howard was born Birmingham, Al, in1904 .I came accross William O'Hara of Birmingham in1820 and am trying to find out if there is a relationship for William who was the grandson of General Charles O'Hara who surendered to Gen. Washington and Napoleon Bonaparte. I am the great great grandson of Columbus Washington O'Hara of Alabama. We are trying to find out more about him. Any information you could share would be helpful. 791. I'm seeking to learn about my great grandfather O'Hara. His father's name was Black Paddy O'Hara and his son my grandfather was Patrick John O'Hara born first generation in USA in New York. Black Paddy's father was named Anthony O'Hara. If you have read this far, much thanks.